crystal structure from the PDB for that specific kinase. 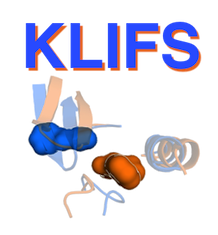 KLIFS_v1.0.xlsx contains all structural annotations of the orthosteric ligand-bound kinase structures. One chain/model per kinase structure was selected for this analysis.